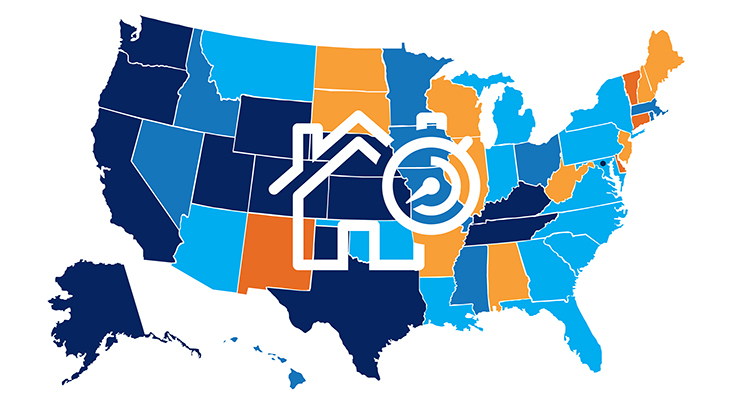 Homes are Selling Fast Across the Country [INFOGRAPHIC] – Hilton Realtors – Real Estate Results! Hilton Realtors - Real Estate Results! The National Association of REALTORS® surveyed their members for their monthly Confidence Index. The REALTORS® Confidence Index is a key indicator of housing market strength based on a monthly survey sent to over 50,000 real estate practitioners. Practitioners are asked about their expectations for home sales, prices and market conditions. 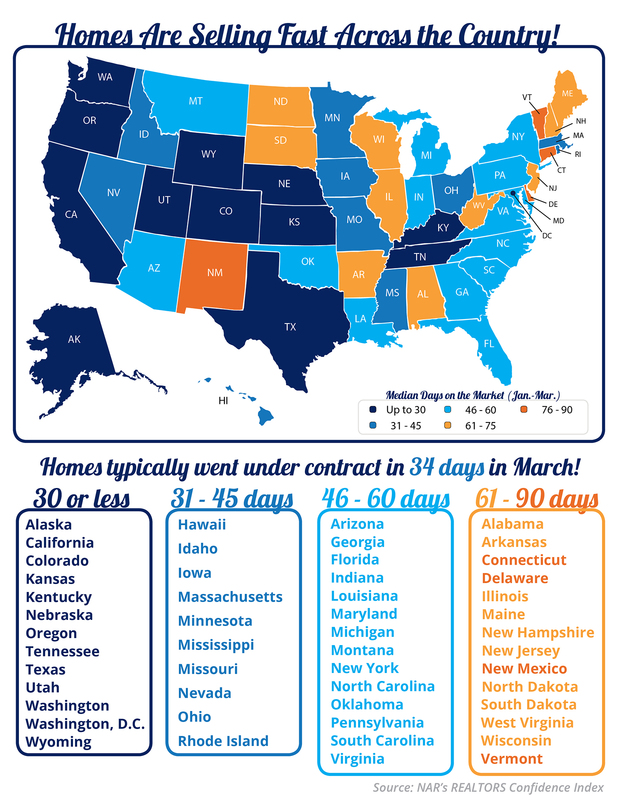 Homes sold in 60 days or less in 36 out of 50 states, and Washington D.C.
Homes typically went under contract in 34 days in March! Copyright © 2019 Hilton Realtors - Real Estate Results!